Pushing The Limit – Limitless Rush! 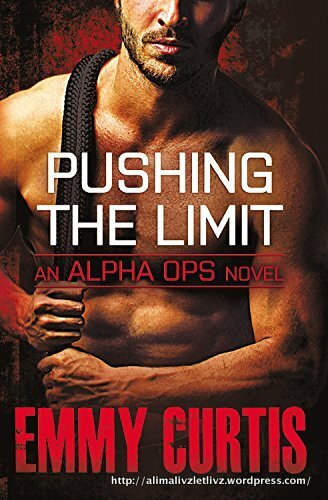 Emmy Curtis has a basket with a bottomless pit of alpha heroes, taking us on a ride of adrenaline rush, and into territories with danger and conspiracy galore. And with their every step, is a courageous and sassy heroine doing her job of supporting her man and her country. The third book in her Alpha Ops, “Pushing The Limit” is another thrilling ride as a hero airman meets an archeologist in the dangerous sands of Afghanistan. Henrietta “Harry” Markowitz and Matt Stanning have a steamy one night at a friend’s wedding and part ways with no intention of a reunion. But as fate would have it, Matt is sent over to Afghanistan as a liaison to Henry, as her team discovers a piece of a war plane, and it’s Matt’s job to bring home the truth and the war heroes to rest. Pushed into working together, Matt and Henry realize they are facing more than just finding the downed plane and getting to the bottom of the discovery. As a conspiracy comes to light, it’s Matt’s job to protect the woman he’s come to love or die trying to keep her safe. As loyalties are tested and surprising secrets come to light, Emmy Curtis keeps the pulse of the readers beating at double pace with her thrilling narration. Steamy passion between the sheets, danger in the dry desert heat, and getting over the fact that Henry is his fallen brother-in-arms widow, Matt has to trust his heart to make the right decision. And Henry is not giving up on Matt so easy either. Pushing The Limit is another great thrilling read, beyond her second book “Over The Limit”. « I Love How You Love Me……….